Alure has a list of pet friendly attractions and activities. Occasional pet sitting is available on request. There is just one pet friendly villa and prior approval is required. Alure will provide for your pets enjoyment, a plush bed, food and water bowls and a gift bag of toiletries & gourmet treats. A leisurely drive from Brisbane, Alure Stanthorpe is nestled in tranquil bushland, with easy access to the region's outstanding cellar doors, olive and fruit orchards. Alure Stanthorpe is sophistication and luxury combined. 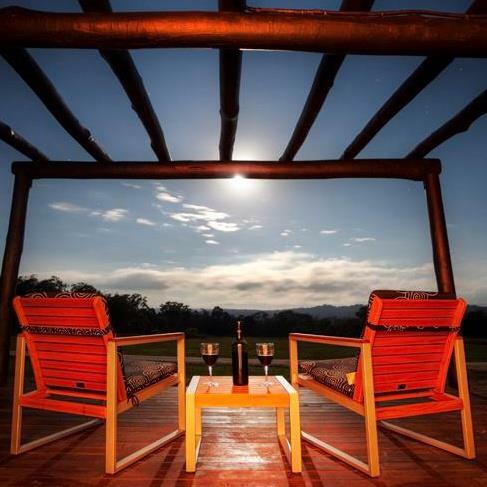 Alure is the perfect retreat for couples and romantics who love the best in food and wine. Its two beautifully appointed boutique villas and NEW 'world's first' luxury tented villa are set on 50 acres well back from a country road on a hilltop, ensuring privacy, peace and spectacular views.